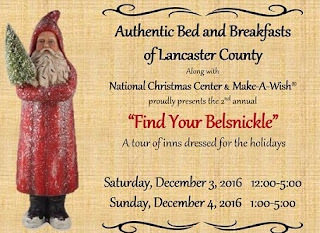 Authentic Bed and Breakfast Blog: Tickets for the Belsnickle Tour on sale now! Tickets for the Belsnickle Tour on sale now! As the holiday season approaches, Lancaster County bed and breakfasts are decking their halls in preparation for the Second Annual Find Your Belsnickle Tour. 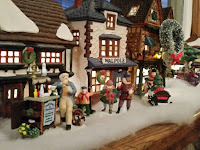 Each inn is festively decorated for the holidays with Christmas trees, lights, greens, and Christmas scenes from past and present. The tour, which benefits a local chapter of a national charity, takes place December 3 and 4 at 18 participating inns. While traveling from inn to inn, guests can enjoy the beautiful and pristine sights of Lancaster County and warm up at each inn with fresh-baked cookies and a recipe card to collect at each site. The Belsnickle, a figure originating from German folklore, is considered to be the darker side of Santa. He carries a switch for kids who were naughty and tosses treats at kids who were nice. Inns are decorated for the holidays. As a way to honor an old tradition and folklore, the inns are having a little fun with the Belsnickle, while benefiting a worthy cause. A grand prize for tourists include a $250 gift certificate to be used at one of the bed and breakfasts and a $75 Visa gift card. In addition to the tour, guests will receive free admission to The National Christmas Center during December. The National Christmas Center, a museum and store located in Paradise, features over 15 life-size indoor exhibits, a Santa's workshop, a train room, a 1950s Woolworth display, a life-size nativity and much more. In addition, the Center will also have Belsnickles on display and available for purchase. Tickets for the tour are on sale now for $15 or the day of the tour for $20 (cash only). Tickets are valid for both days so guests can take their time visiting the inns. Maps at each stop will also be available. Last year, the inns raised over $4,000 for charity. Be sure to reserve your tickets now by calling one of the participating inns. 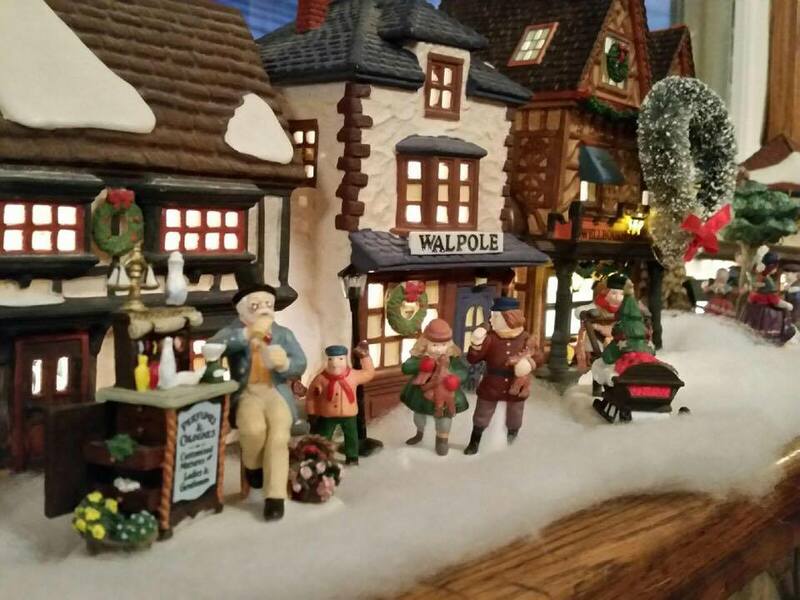 Enjoy our beautiful county at Christmastime, the inns and the crotchety Belsnickle while helping a worthy cause. And be sure to make reservations at one of our inns for the weekend of the tour by visiting www.authenticbandb.com. Happy holidays!